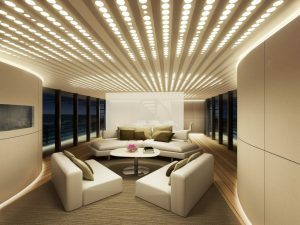 Home / Uncategorized5 Major Lighting Trends!! 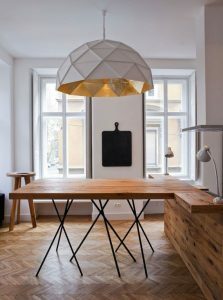 Lighting is one of the most demanding and important aspects of Home decor, and much like the style, the lighting trends are frequently varying. Stylish new sustainable and energy-efficient options are becoming increasingly important for contemporary environments, even when decorating retro-inspired homes. Many people are looking for large, unique fixtures that make a statement in their homes. While fixtures are traditionally sized in proportion to the size of the space they will be occupying, this year’s trend is the opposite. People are going big and going home, purchasing bold floor lamps and chandeliers that add flair and pack a visual punch! 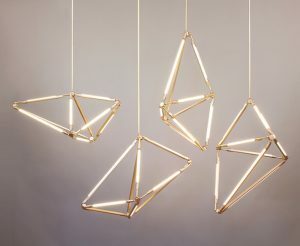 Lighting fixtures in geometric shapes and geometric elements are becoming more and more popular. For example, you can buy light fixtures in spherical, hexagonal and cylindrical forms or lamps with these shapes incorporated into their design. Geometric cage-like light sources are especially trendy right now. And they are not just an artistic design element, but also very functional lights fixtures that are able to provide illumination even to large spaces. Another big trend is mixed metals in light fixtures. 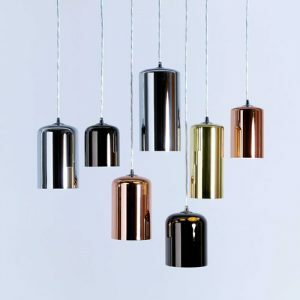 Metals are being widely used in light fixtures for some time now, especially metals in brass and gold colors, but now it has become modern to mix different metals together and experiment with them. And since nickel and silver are coming back in style, too, many designers are mixing brass with silver and other metals and creating light fixtures for their newest collections to achieve trendy and unique look to their pieces and to the homes, where these lamps are displayed. Lighting trends are not limited to shapes, colors and materials. The basic structure of light sources is changing too. Now smart light bulbs are all the buzz in lighting industry, just like solar lights were a couple of years ago. These smart LED bulbs were already introduced in 2016. Smart LED lamps have many cool features. For example, you can change the color of the light that these bulbs emit and some of them even have built-in speakers. 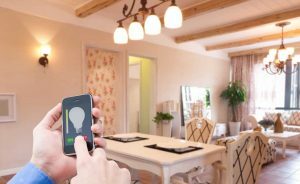 On top of that, smart lighting has efficiency increasing features, such as scheduling and automation, which can be controlled using a smartphone, so you might never have to get up and flip a switch to turn on a light ever again, if you get smart lights. Modern yet efficient lighting is very important for home design, since it will ensure that your home is properly illuminated and looks stylish. And these lighting trends can help you achieve that. So weather you change up the color of your light fixtures or make fundamental changes in your lighting by investing in LED bulbs or smart lighting, use this lighting trend guide to make sure that your lights are trendy. Effective & Unique design ideas! !